A delightful Victorian house set in the heart of England with splendid uninterrupted views across the Vale of Evesham to Bredon Hill and the Malvern Hills. The house has been with the same family for over one hundred and twenty years. The tranquil eight-acre garden incorporates peaceful walks through two arboreta planted in 1968. 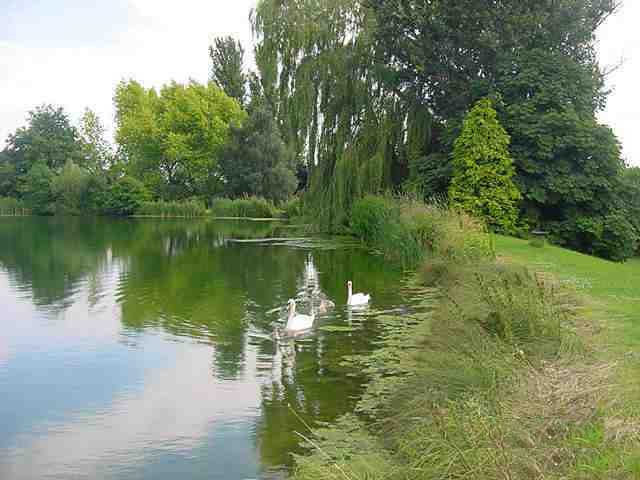 The three-acre trout lake has an abundance of wild life including great crested grebe, kingfisher, tufted duck, moor hen, coot and a pair of breeding swans. The newly resurfaced tennis court and the croquet lawn are available for use by guests and visitors. Springhill can be found at the end of a private third of a mile drive from Fladbury, a pleasant riverside village with its old mill occupying medieval foundations. Business facilities - Two self contained suites of purpose built offices with or without storage facilities.